Graphic example: changing icon of a Room. You can change the icons of your devices, rooms, and scenes (block and Lua). If you do not like the default icon, or you simply want to customize your interface, you can upload new icons. Personalized icons help to identify your rooms, scenes, or devices more easily. PC or Mac with the network connection. If you want to add your own icons you have to choose a suitable picture. An icon must be 128×128 pixels, with a transparent background. It is necessary to perform this operation in local access. Icons are not uploaded via remote access. Log in to FIBARO Forum. Click a Search toolbar on the right side. Type “icon” and in SEARCH IN section click More options and then select Files and click the magnifier icon. Choose an icon pack you want to download and click its icon or title to show more. If a chosen pack is suitable click Download this file. Accept the Download Terms by clicking Agree & Download. Log in to your Home Center. Choose a device, which icon you want to be changed. Click on a tool icon on a selected device frame. Choose an icon you want to add to each type of action by clicking Choose file next to it. Find the path to your saved icons and select a picture you want to add as your icon. Click Add button on the bottom of the page. You can see your icon in the frame of the top of the page. Click on the picture you want to have as an icon of your device. Click Save icon on the right sidebar. Go to the Rooms tab. Choose a room, which icon you want to be changed. 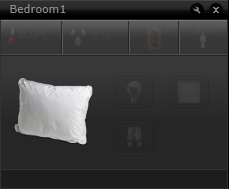 Click on a tool icon on selected room frame. Click on the picture you want to have as an icon of your room. Go to the Scenes tab. Choose a scene, which you want to be changed. Click on a tool icon on a selected scene frame. Your icon has been changed. Click Save icon on the right sidebar.